First generation eyewear businessmen, Mayank Sanghvi and Jatin Shah have proved that while legacy matters, it is foresight, vision and the ability to innovate that are the real parameters of success. Though not brothers, the two are related by marriage, having married into the same family. And with a father-in-law like Navin Shah of Hind Corporation, a veteran in the optical business, to guide and push them in their initial years, building a successful business was a challenge waiting to be met. Optiline’s first major milestone in the business happened in 1999 when they were able to break the glass ceiling and reach for branded international manufacturers in a legit manner. They bagged the distributorship of Safilo and four of their top brands – Gucci, Valentino, Pierre Cardin and Blue Bay. A joint venture was floated and a new company called Safilo India Pvt Ltd was formed with Jatin Shah as the head. The partnership lasted for nearly six years and in early 2005 they parted ways amicably, selling their stake to the parent company. But the years that they worked together established their credibility and stature in the Indian optical market in a big way. Meanwhile, the parallel company Optiline had been progressing steadfastly with Mayank taking care of the business. 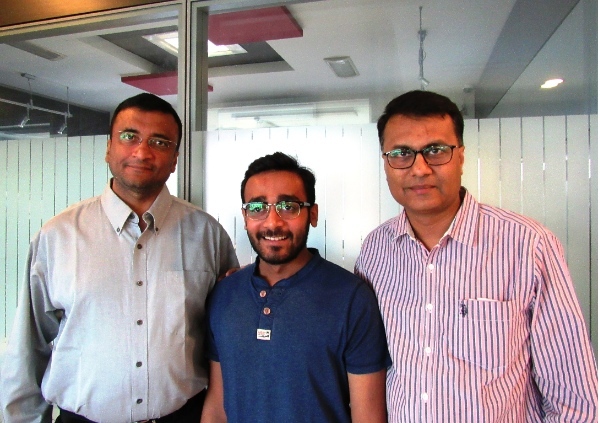 With the infusion of fresh ideas from the young Divyam as well as the continued guidance of Mayank and Jatin, Optiline looks set to grow faster and further strengthen its foothold. Celine Dion Eyes reflects the modern taste for the finer things in life. Classic sophistication and glamour triumphs over fads, just as the timeless voice of Celine Dion shines through. Celine Dion Eyes reveals in itself the timelessness of true romance and popularity. Celine Dion glasses are described as classy, beautiful and elegant in their own way. The glasses are designed mainly for female wearers.